Colombian movie “Birds of Passage” will open the 50th version of the prestigious “Directors’ Fortnight” festival in Cannes, becoming the first Latin American production to achieve this feat. The movie, directed by Ciro Gerra and Cristina Gallego is a follow-up to the Oscar nominated “Embrace of the Serpent,” and will feature in the independent section held in parallel to the Cannes Film Festival. “Birds of Passage” or “Pajaros de Verano,” which was its original in Spanish title is set in 1970’s Colombia when the demand for marijuana first became apparent in the South American country, immediately placing local farmers into a different realm of entrepreneurship. 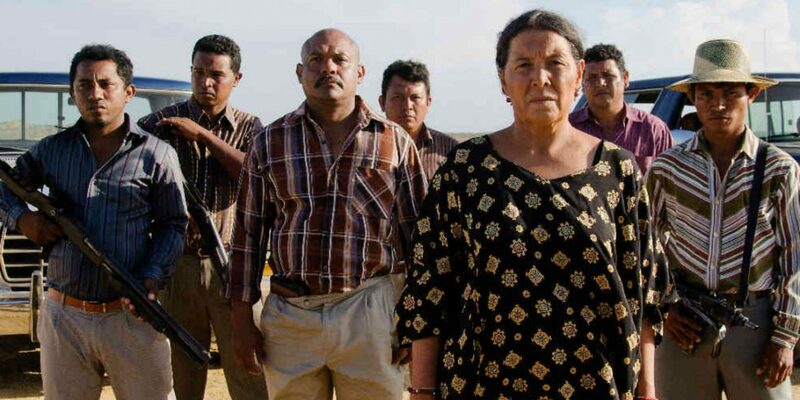 Set in the La Guajira desert, the film follows a Wayuu indigenous family who take a leading role in this new drug trade as they attempt to balance new found wealth and power with the inevitable violence and tragedy. The film is the first fiction production to be spoken in the indigenous Wayuunaiki language and has the participation of several communities of Wayuu and Wiwa ethnic groups. “‘Birds of Passage’ is a magnificent film and a powerful, epic mafia story filled with crime and treason,” said Edouard Waintrop, who is serving his last turn as Directors’ Fortnight chief to Variety.com. Speaking about the invitation, co-director Cristina Gallo believed that it was partially as a result of the success of the same director with the “Embrace of the Serpent” and a also a desire on the part of the hosts to exhibit the creative roles of women in modern cinema. There were many things: the expectation after our previous film ‘Embrace of the Serpent’; the work of Ciro Guerra; the treatment and historical importance for the country and for the world of Birds of Passage on the beginning of the drug trafficking, but also in this edition 50 is looking at the work of women in the different creative roles of cinema such as direction, acting, writing, in short, I can not be very objective being a director and producer, there is a bias. “Birds of Passage” is one of the 17 features selected by Directors’ Fortnight out of 1,609 films submitted. Filming that lasted 9 weeks and took place in places of the Sierra Nevada de Santa Marta and La Guajira ended in May last year. Ciro Guerra also participated in the past at the Cannes Film Festival in the official section “Una Cierta Mirada” with his feature film “Los viajes del viento” in 2009, where he won the City of Rome Award.